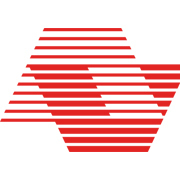 Avnet recently announced a unique service to help partners in the U.S. and Canada create Internet of Things (IoT) solutions for their customers faster through access to relayr’s 5-4-3 Innovation Acceleration process. Kickstart: A hands-on, five-day workshop enables customers to identify three leading ideas and create an implementation roadmap for IoT solutions specific to their enterprise. Accelerate: Develop and test the idea to create a working prototype during a four-week period. Traction: Fully test the prototype over three months, giving the customer a real-life use case to provide critical insights for mass production and rollout planning, and accelerate their time to market. Partners can utilize this service to shorten customer development time, allowing them to transform an idea into a functioning prototype in as few as five weeks.